The Mirage was designed as a mid-engine V8 sports car and has a steel space frame. On this kit, only the fuel tank side pods and rear engine cover are bolted in place at this time. The V8 engine presently in place is just a core used for fitment. I got this car in a trade and just want to move it on before I get carried away with it. The guy I got it from had it sitting as you see it for 33 years. It will be easy to ship as it all can be fitted together easily and the included but uninstalled items can fit inside. 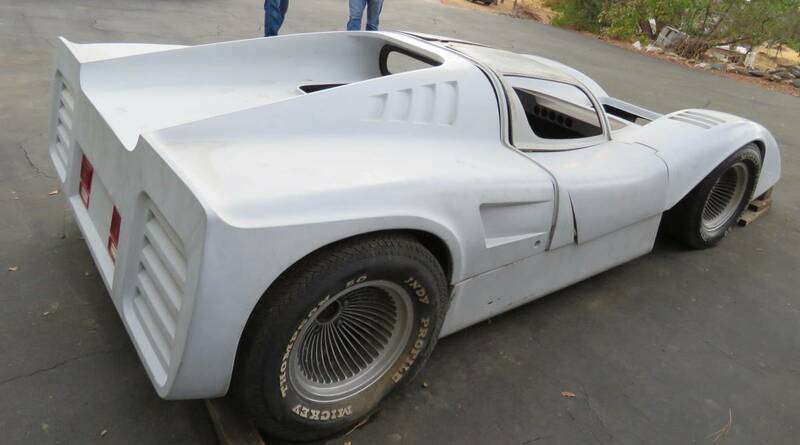 It's not pretty - but this one seems to go a bit beyond your typical '70s kit car and looks more like a Can Am racer. 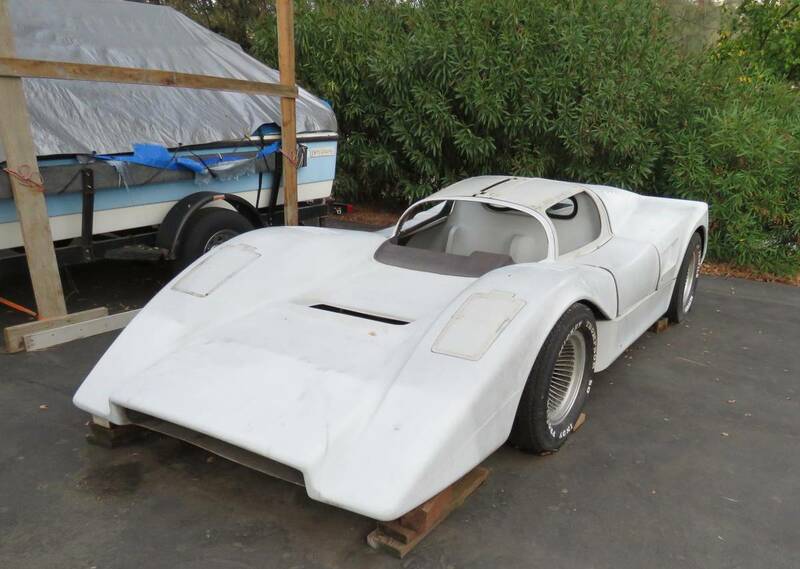 Can Am racer with VW beetle suspension and Drum brakes? more like a "widow maker"
Yeah...I thought the juxtaposition of "VW drums" with "mid engined V8 sports car" represented a sort of cognitive dissonance that only seems to manifest in optimistic purveyors of future regret. Those turbine wheels are FANTASTIC!!! I assume with the Pinto spindles it is easy to set up with disc brakes in the front and because of the transaxle w/halfshaft set up in the rear you can probably fabricate some inboard brakes for the rear without having to source new rear uprights... Hmmm... Could be fun. Good thing I don't have a garage. When I lived in Costa Mesa where these were made it was fun to see them and more fun to hear them. The challenge was for them to go up a driveway, any driveway. Original body measurements were taken straight from a Mclaren M8. Then, the LoVette brothers added the top (their own design).